Auckland, 13 October 2015 - The opportunity to own an efficient and flexible office building in Auckland’s sought-after Greenlane Corridor, fully leased to government and international corporate tenants, is offered exclusively through CBRE. 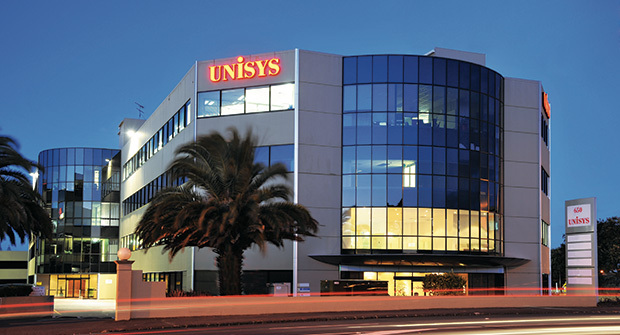 Unisys House, a four-level building at 650 Great South Rd, Ellerslie, is being marketed by Jonathan Ogg and Bruce Catley of CBRE. It is for sale via an international deadline private treaty campaign closing on Thursday November 12. Almost 40 per cent of the property’s lettable floor area is leased to the New Zealand Government, making the asset a perfect investment for buyers looking for income security, says Ogg. The asset, which provides annual net passing income of $2.6 million, will be considered a trophy holding by investors in a market characterised by a scarcity of very well-leased commercial assets in good locations, says Ogg. The 8,350sq m building provides large flexible floor plates of over 2000sq m each and 299 on-site car parks, making it extremely attractive to potential tenants should a vacancy arise in the future. As such, CBRE expects strong demand for the property, says Catley. The property’s fundamentals will place it firmly on the radars of both local and international buyers, Catley says. “With competitive finance on offer, buyers will view the timing as excellent to secure this building given the expected yield differential to a brand new asset. For offshore buyers, the property’s attributes will also make it desirable at a time when the investment spotlight is broadening its focus from Asia and Australia to include New Zealand, he adds. The building was constructed in 1997 and has a New Building Standard seismic rating of A+. A three level podium car park was added in 1999, providing additional parking along with the original basement car park. The ground floor is mainly leased to global information technology company Unisys, with the remaining space occupied by Fletcher Construction. Level one is fully occupied by the Inland Revenue Department. Health Alliance, which delivers non-clinical services to New Zealand’s 20 district health boards, is on level two. The top level is shared between the Ministry of Health and Fletchers. The area has excellent transport connections and is within close distance of the Ellerslie Panmure motorway interchange, providing ready access to the Northern and Southern motorways, he says. Ellerslie’s vibrant and growing town centre is accessed via Sultan Street and Kalmia Street connections over and under the motorway. Cafés, banks, restaurants bars and other services are on offer in the town centre. The property is also adjacent to Goodman’s Central Park Corporate Centre, which offers further amenities.